Readers will remember, in January 2019, Parliament approved the Central Government's proposal to reserve 10% of the seats in educational institutions and posts in jobs in the public sector, for the economically weaker segments of society (10% quota law). The Union Cabinet is said to have approved the proposal to amend the Constitution in this regard on the 7th of that month. It was tabled in the Lok Sabha on the 8th, debated and passed the same day. The Rajya Sabha gave its approval after a debate on the 9th. The Hon'ble President of India gave his assent to this Bill four days later on 12th January. This legislation was notified as The Constitution (One Hundred and Third Amendment) Act, 2019 in the Official Gazette, the same day. On 14th January, the Union Ministry of Social Justice and Empowerment issued a Gazette notification stating that the law had come into force. A path-breaking proposal for providing reservations in educational institutions and government jobs was moved, approved and written into the Constitution in seven days flat! Of course, it does not break the previous record of the 39th Constitutional amendment that was approved by Parliament and ratified by more than 50% of the State Legislatures at break neck speed in four days. Law-making in the digital age, where information travels at the speed of light, seems to be somewhat laggardly, compared to the 1970s when jet aircraft barely managed to break the sound barrier. The amazing speed with which the State machinery moved to craft a law, meant to benefit the economically weaker sections (EWS) of society, is in stark contrast with multiple accountability-seeking laws enacted by Parliament, that are languishing on the Central Government's shelves. The Lokpal and Lokayuktas Act, 2013 and The Whistle Blowers Protection Act, 2014 are two glaring examples. However, both these pieces of ordinary legislation, had been through widespread consultation processes at various stages both inside and outside Parliament before enactment. I had also used The Right to Information Act, 2005 (RTI Act) to persuade the then Government to place in the public domain Cabinet Notes and other related materials to at least one of them. Although that attempt was unsuccessful, a later RTI application was very useful in teasing out the Cabinet Note justifying the regressive amendments to the Whistleblower law. In this case, the Cabinet Note was disclosed at the RTI application stage itself, even though the Bill is pending in Parliament even now. Kindly note that this information is required to be disclosed as per the first proviso under Section 8(1)(i) of the RTI Act, read with Section 26(1)(c) of the RTI Act." What is wrong with the CPIO's reply? 1) First, Section 8(1)(i) of the RTI Act- the exemption relating to Cabinet papers- which the CPIO quoted in extenso in his reply itself permits the disclosure of all the information I had sought, after the matter is complete or over. That is the meaning and requirement of the first proviso underlying that exemption. The 10% quota law has already come into force. Nevertheless, the CPIO seems to think that the matter is neither complete or over. I hope I will not have to wait until the objectives of the 10% quota law are achieved. Given the fact that similar quota laws for the Scheduled Castes (SCs) and the Scheduled Tribes (STs), which are almost eight decades old, have not yet achieved their objectives, I may not be alive until the 10% quota law achieves its purpose. Despite quoting the proviso requiring proactive disclosure of Cabinet papers, in his reply, the CPIO does not seem to have applied his mind to its import, thanks to the haste with which he made his decision on the information request. 1) On 7th January, 2019, the media reported that the Union Cabinet had approved the 10% quota proposal for tabling in Parliament. Strangely, there is no press release about this subject for that date on the website of the Press Information Bureau or on the website of the Social Justice Ministry. The first mention of this subject is contained in a press release of the next day, namely, 8th January, where the Hon'ble Prime Minister congratulated the Lok Sabha for passing the constitution amendment Bill. Friends in the media informed me that "sources" in government shared the information about the Cabinet decision on which they reported. This is strange practice because, the Handbook on Writing Cabinet Notes clearly indicates that a draft press note about the Cabinet decision is an essential annexure to the Cabinet Note itself (see paras 92-97 of the Handbook). The lack of a formal press note about the 10% quota proposal after it passed muster with the Union Cabinet is perplexing, to say the least. 2) Further, the 10% quota amendment proposal did not comply with the Pre-Legislative Consultation Policy adopted by the Central Government in 2014. As per this policy every department mooting a legislative proposal is required to place the draft text of the legislation in the public domain for thirty days, invite people's suggestions and views, incorporate any, if so determined, tabulate all the suggestions received and attach it to the Cabinet Note along with the suggestions received in the Inter-Ministerial Consultation on the draft Bill. However, none of these measures were complied with in relation to the 10% quota proposal. 3) In a decision delivered in June 2010, the CIC had directed the Chief Secretary of the Government of Delhi to "develop a credible mechanism in all departments for the proactive and timely disclosure of draft legislations/ policies and amendments theretor existing laws/ policies in the public domain, as required under Section 4(1)(c) of the RTI Act, during the process of formalisation and before finalisation." The Central Government might take the plea that the ruling applied to the Delhi Government only. However the draft Bill in question was for amending the Delhi Police Act - a subject over which the Union Home Ministry exercise complete control through the Lt. Governor of Delhi. The 10% quota Bill ought to have been made public before being tabled in Parliament, but that was not the case. I will do the usual appeals against the CPIO's rejection. Sadly, the Quest for Transparency remains a quest even with regard to legislation that has will potentially benefit a large proportion of the citizenry. 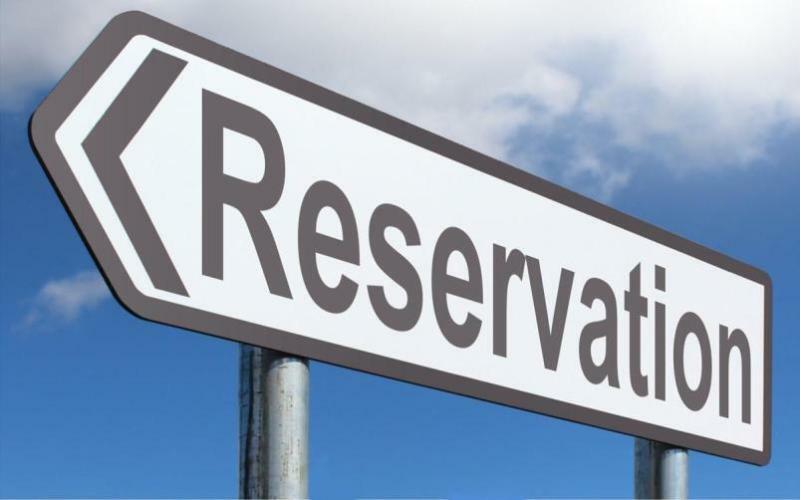 On 17th January, 2019, three days after the 10% Quota amendment came into force, the Union Ministry for Social Justice and Empowerment issued an Office Memorandum (OM) detailing the criteria for excluding persons who would not be eligible to lay claim to the 10% reservation of seats and posts. Interestingly, this OM is labelled: "For Internal Circulation Only" and cannot be located on the Ministry's website. However, it is included in multiple OMs issued by other Ministries and Departments to entities under their charge for identifying posts that may be reserved under the 10% quota law. I was able to access this OM on the website of the Indian Institute of Management, Vishakhapatnam. Why is the nodal Ministry for implementing this law not publishing the OM on its own website is a mystery. Under Section 4 of The Central Educational Institutions (Reservation in Admission) Act, 2006, read with its appended Schedule, these institutions of excellence are exempted from reserving seats for members of the Scheduled Castes, Tribes and Other backward Classes also. However, graduates of these institutions will be eligible for reservation in jobs that match their training. For example, the Department of Space has issued an OM to institutions such as ISRO, SDSC and VSSC all of whom are involved in launching or tracking satellites in space, to take necessary action to implement the 10% EWS quota in jobs. So a student who is eligible for this EWS quota will not get the benefit of reservation in admissions while studying at any of these eight institutions of excellence, but can lay claim to jobs reserved in this category in ISRO, SDSC or VSSC, after graduation! A simple question that requires a convincing answer is- when students of EWS category are expected to make it to these institutions of excellence, purely on the basis of merit, why should jobs be reserved for them after graduation? Merit should be the principle for recruitment as well. Or am I not getting the logic behind this dichotomy? I hope readers will enlighten me on the logic of this contradiction.